With so many options available, it's often hard to make a choice about which telescope to buy that most suits your needs or that would be a welcomed gift. Once you have the telescope, you may need pointers about how it works, useful accessories, etc. Jeff Norwood, veteran amateur astronomer and owner of Long Island's leading telescope shop, Camera Concepts & Telescope Solutions (www.CameraConcepts.com), will guide you through purchase & use. COST: Free, but donations to help support our programs are deeply appreciated. DIRECTIONS:	Lecture in basement of Tennis Center at the Ross School, around the corner from 20 Goodfriend Drive, East Hampton. From #20 continue on Goodfriend, turn right at the sign for Athletic Field then continue down the road until the circular driveway; the Tennis Center is the building on the left and the parking lot is west of the building. Montauk Observatory is grateful to the Ross School for its kindness in hosting this event, and to Mr. Norwood for generously donating his time and expertise. 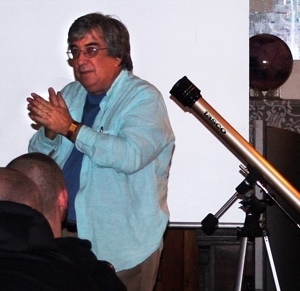 Montauk Observatory brings free science and cultural programs to the south fork communities. For information about Montauk Observatory and its events, or to make a donation to help support its programs, please visit www.MontaukObservatory.com. Montauk Observatory is a publicly supported, New York State not-for-profit organization as defined by IRS code Section 501(c)(3); donations are tax deductible (please consult your accountant for details). Thank you for your support.